Continuing their trend of bringing the best art house and independent films to our shores, Soda Pictures announced today that they’ve acquired not one but three of this year’s big festival hitters: For Ellen, Barbara and Sister. 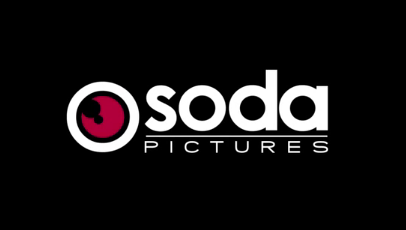 Each acquisition represents a step forward for Soda Pictures in their effort to become one of the U.K.’s leading film distributors. No release dates have yet been set for any of the film’s but, due to the immediate buzz surrounding them all, expect them all to hit cinemas later this year, in time for what’s likely to be an extremely competitive awards season. Written and directed by So Young Kim, For Ellen centers on a struggling musician who decides to fight his estranged wife for custody of their young child. The film premiered at the Sundance Film Festival to mostly positive reviews and stars Paul Dano, Jon Heder and Jena Malone. Winner of this year’s prestigious Silver Bear award at the Berlin International Film Festival, Barbara is directed by Christian Petzold and stars Nina Hoss, Ronald Zehrfeld and Rainer Bock. Torn between his rural lifestyle and his desire to start a new life with a fellow physician, a doctor must decide what his future holds. Centering on a scheming kid who steals and sells on ski equipment to support himself and his troubled sister, Sister played in competition at the Berlin International Film Festival, earning rave reviews from critics. Directed by Ursula Meier, Sister stars Kacey Mottet Klein, Léa Seydoux and Martin Compston.